I have always loved tubes. My first amplifiers were a couple of home brewed things built after the schematics in Electronics November 1953 issue and was called Linear standard. They used a 12AX7A, a couple of 6AU6 as drivers and a pair of KT66. I got them from a friend of my father back in the late 60's. They were scrapped after a while, I was too young to realise the value of them. I still have a couple of the KT's and one of the output transformers from them. The KT's are the real stuff and still strong. Around 1989 I returned to tubes and designed my own tube amplifier. It's an everlasting project but sounds like the better amplifiers in the good old days. Tube selection was easy since I used what I had available at the time, both NOS and used. Used tubes are useful when designing, replacing them with NOS when it's working. For some reason I like low gain triodes like 6J5, 6SN7 and 12AU7/ECC82. The preamplifier is totally feedbackless and the power amplifier has a very low feedback. It's a compromise between dynamic sound and distortion. Nothing is new under the Sun, all feasible tube circuits has already been invented. My amplifier is not an exception, the configuration has its roots back in the 50's. Single tube input, long tailed pair phase splitter and a ultralinear output with cathode bias. Power output is around 22W into 8 ohms. Low feedback gives a dynamic sound but also some harmonic distortion but the low impedance plate load keeps the annoying odd harmonics down. This power amplifier is now scrapped and the materials have been recycled into another project, the HFTA. You can find this under Projects HFTA2 to the left. Main reason was its relatively low sensitivity. 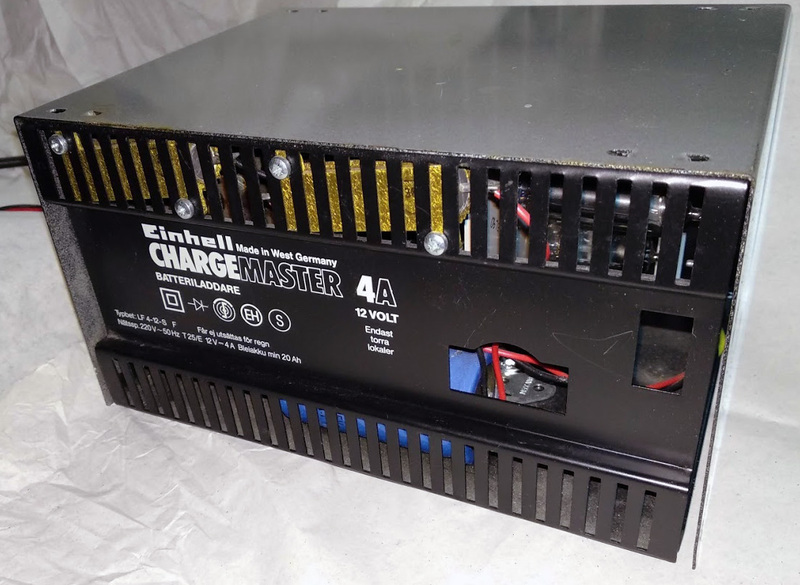 Once a battery charger, now the power supply for the preamplifier. 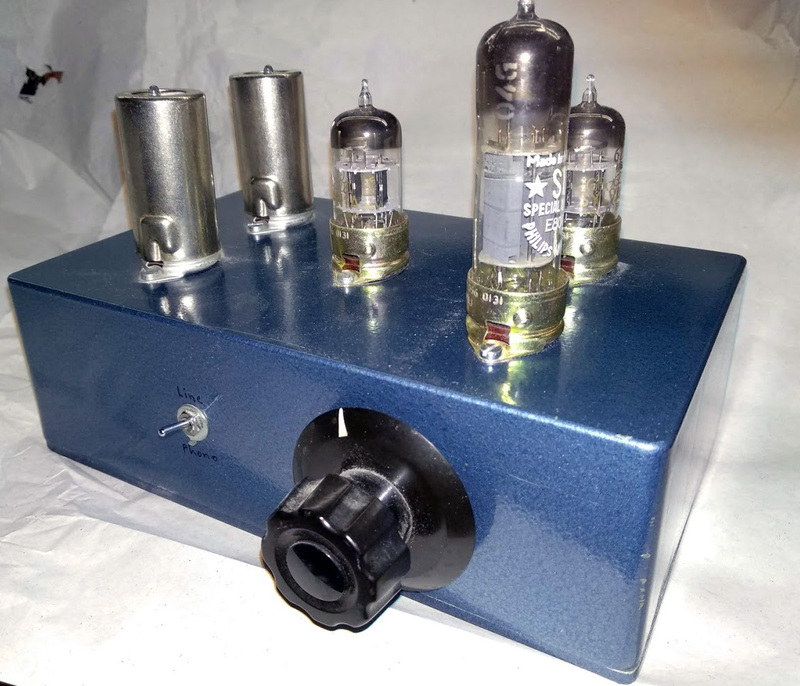 I have also built a preamplifier wih a phono stage for my tube power amplifiers. 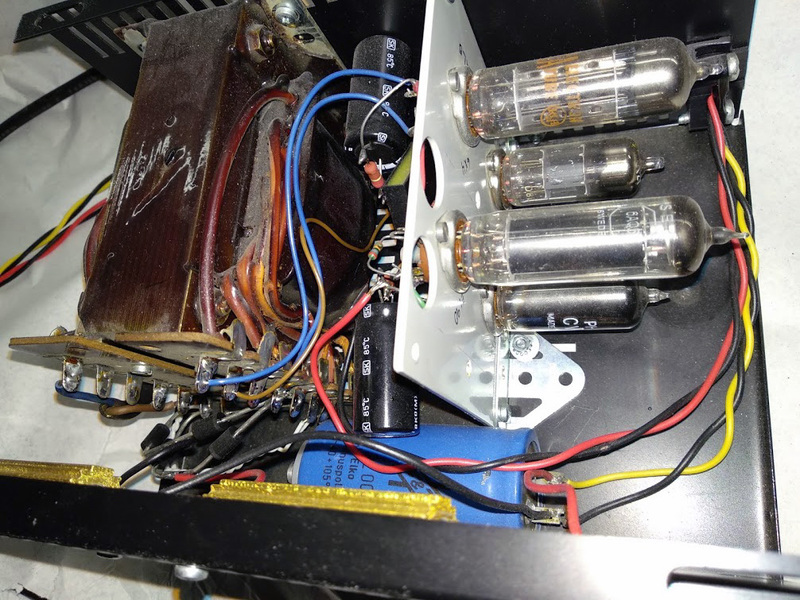 This preamp is powered by a regulated power supply, also made with tubes. It's a good way to find use for those oddball tubes nobody wants. Mine uses EZ90/6X4, EL90/6AQ5, EC92/6AB4 and a 85A2 as voltage reference. At the time of writing this the schematic is not in digital format but I'm working on that. I have also built a small amplifier using 3 6DJ8 and 4 6BQ5. The output irons are small, too small, but with very interesting properties. I bought these back in '89, they are unmarked but reliable sources told me that they are wound by Partridge. The sound is very promising but the cores saturate at the extreme lows. The tubes are cathode biased into pure class A. I'm looking for a quad of matched 6BQ5's, the current set is not very well balanced, probably causing the saturation. I'm considering a recycle of this to build a similar but with a power supply ripple rejective design. Preamplifier. The shielded tubes belongs to the phono stage.